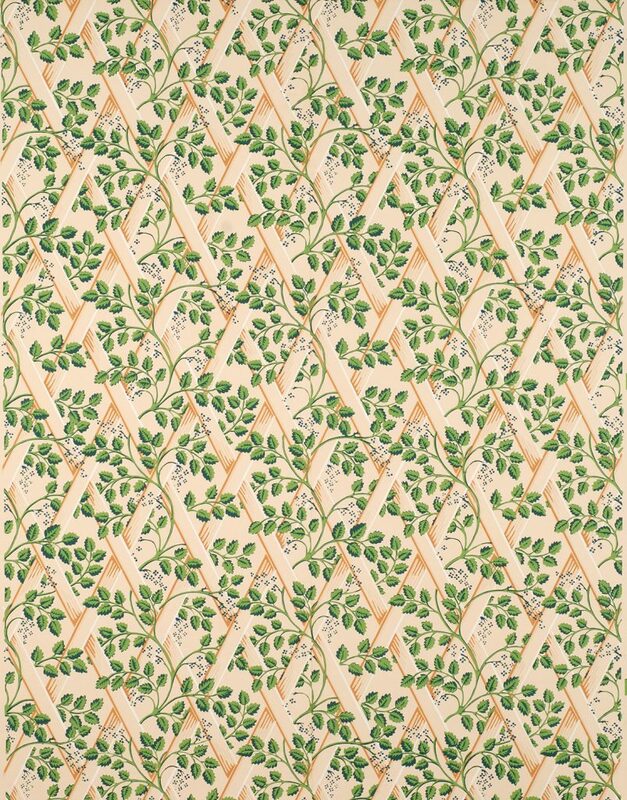 Thomas Jefferson’s records of purchases for his Virginia home, Monticello, clearly indicate that French wallpapers, were ordered for several rooms. However, today it is only the North Octagonal Room for which any discernable evidence of a wallcovering exists and this is only in “ghost” images – areas where pigments bled through the paper and onto the plaster. This information, though faint, was clear enough to identify the pattern as one which also exists in the archives of Colonial Williamsburg. First printed in the 18th century, the pattern was later reprinted by the French wallpaper firm Jacquemart et Bernard in the 19th century. Imperial Measurements: Repeat 18 inches, width 18 inches, length 11 yards, half-drop match.